Here at Workbench we understand the importance of a meeting. The impression made by an office meeting room is incomparable to that of a coffee shop or a home office, but it’s not always financially wise to rent an office full time. Luckily, we have a solution. 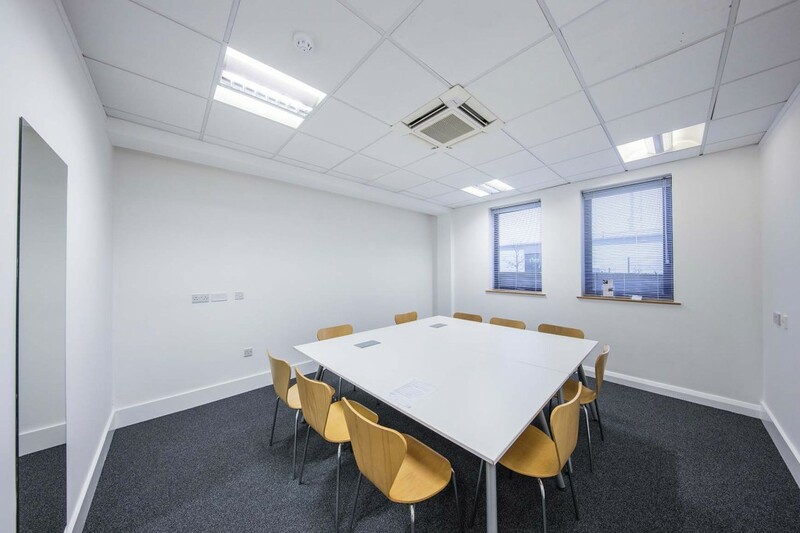 When a business owner uses our virtual office service they gain access to our professional Cardiff meeting rooms, as well as all the other benefits for as little as £30 per month. Working from home is great and cost-effective. This being said is is not ideal meeting prospects or existing clients in your back room with dogs barking, kids screaming and the smell of last night’s curry still in the air. Meetings can make or break a deal, so take control and use a meeting room to show you mean business. When you work in the same environment as you relax, it can be hard to put your game face on. This is never more important than in a meeting. When you step into one of our meeting rooms, you mean business. I know how exhausting it can be working from home. You wake up, sit at you desk, work for 15 hours. Then fall back into bed. It can turn you loopy. Using our meeting rooms will get you out of the house. Many of us like to keep our career and personal life separate. This is why it is important to use a separate address for any business related meetings. I’m sure you love where you live. Maybe it’s quiet, with a view and has that small village feel. This is great for you but living in the sticks is no good for clients. Our meeting room is located just a stone’s throw from Cardiff Bay and Cardiff City Centre.